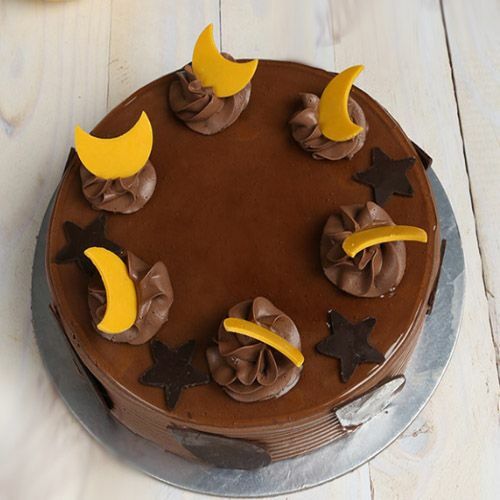 The Star and Moon Chocolate Cake is an ideal choice to soothe the taste buds of all the chocolate-lovers. Yes for all the chocoholics! 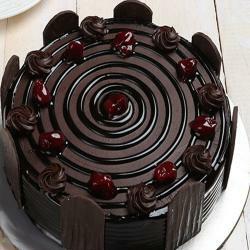 Rich in chocolate, this cake is like a chocolate lover’s paradise. 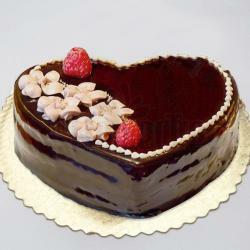 Made with dark chocolate wiped cream, this decadent treat is crafted in our own bakery, then hand-decorated with cream it is a wonderful way to wish a happy birthday or happy anniversary or many special wishes to someone you love, and it's big enough for a whole party to enjoy. 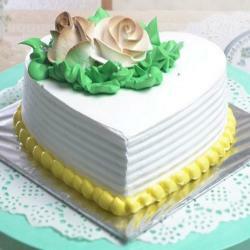 The Dark Chocolate Cake is a flavorsome combination of the dark taste of coco and sweet flavor of buttery cream topped sun and moon chips. 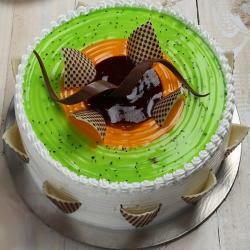 It’s the perfect dessert to serve for a party or a sumptuous gourmet gift to send to someone special. Product Consists:1/2 Kg Star and Moon Chocolate Cake.